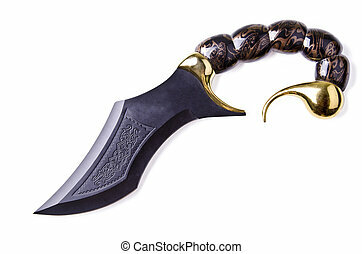 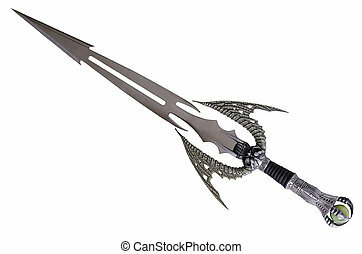 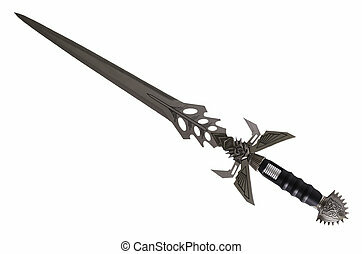 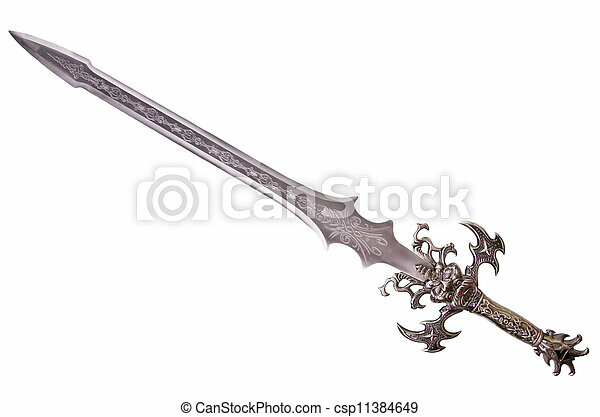 Fantasy sword isolated on white background disposed by diagonal. 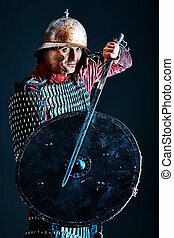 Portrait of a medieval male knight in armor over grey background. 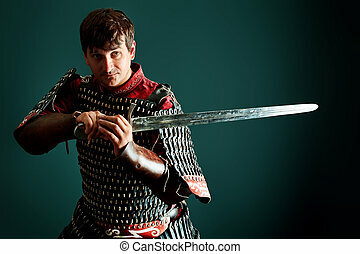 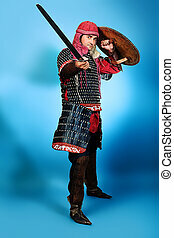 Close-up portrait of the ancient male warrior in armor holding sword. 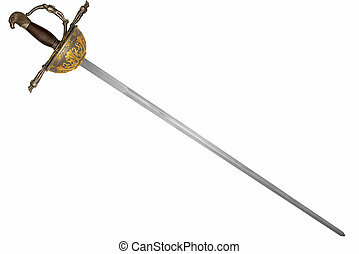 Historical character. 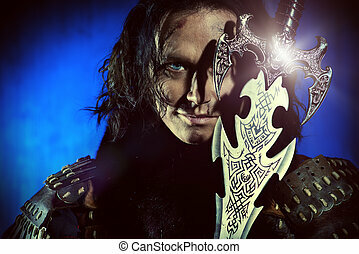 Fantasy. 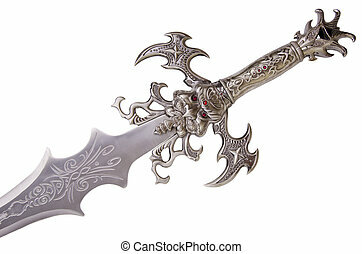 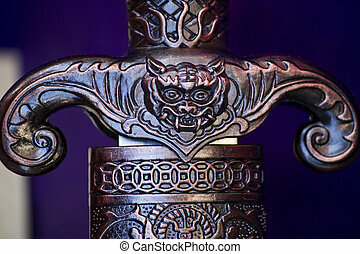 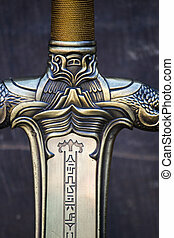 Close up view of a fantasy sword intricate detail. 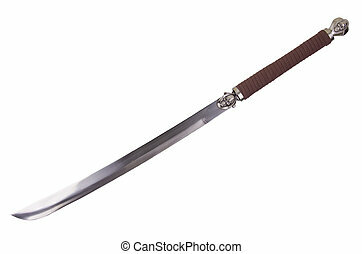 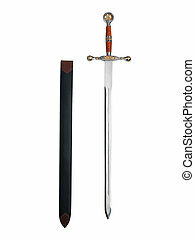 Sword disposed by diagonal, isolated on white background. 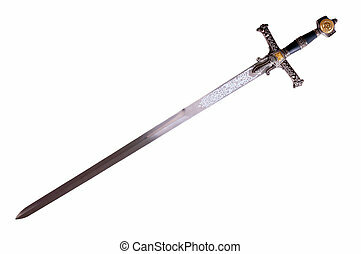 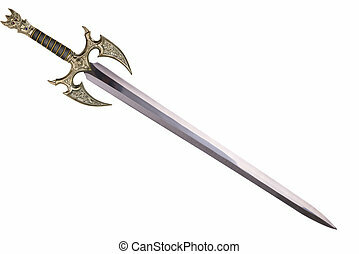 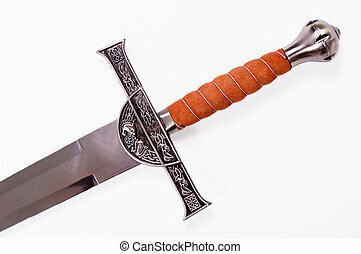 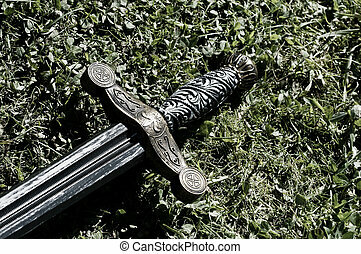 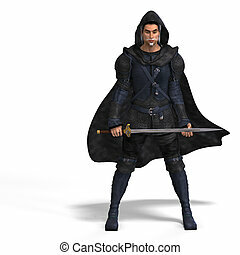 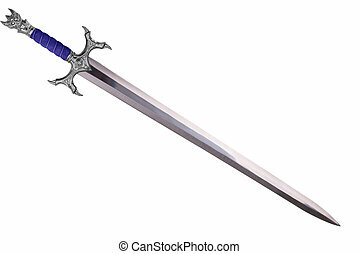 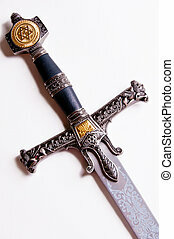 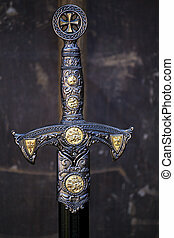 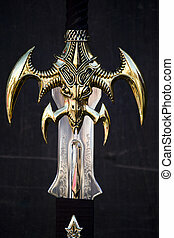 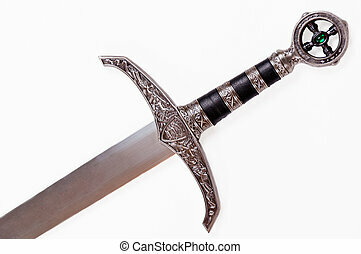 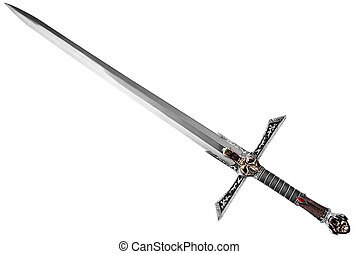 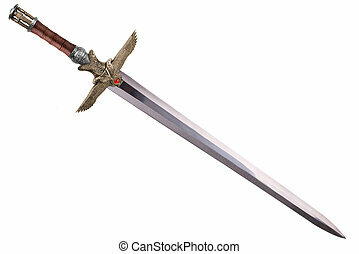 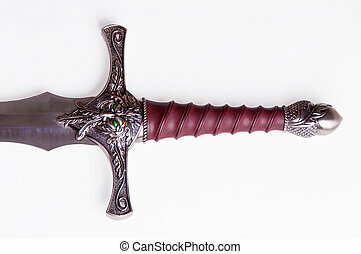 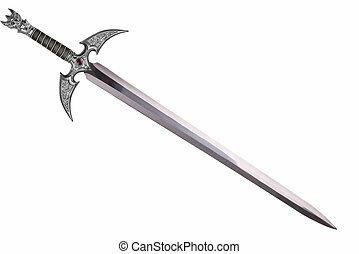 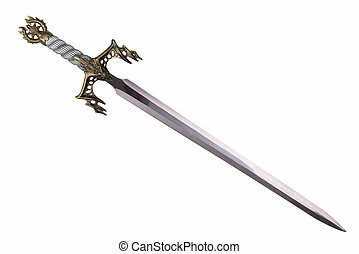 Fantasy medieval sword isolated on white background. 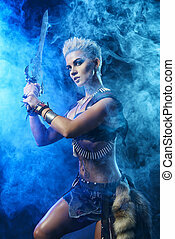 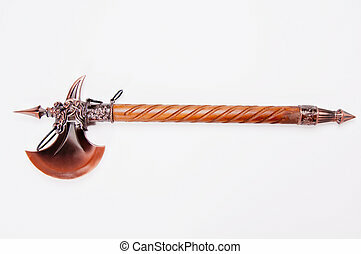 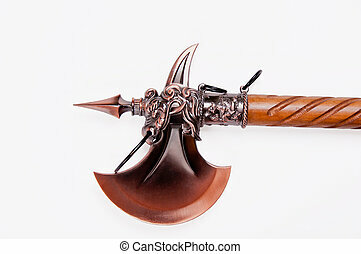 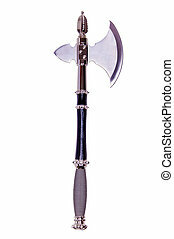 Fantasy Viking battle axe isolated on white background. 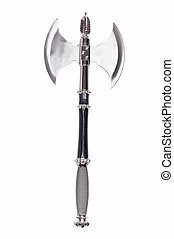 Stainless steel axe isolated on over white.